Growing up, my family has always been a “Toyota” family. Not for their thrilling driving experience or for their ability to pamper its occupants, but for their practical blend of comfort, value and long-term reliability. And when Lexus, Toyota’s luxury division, was first introduced to us in 1989, I remember my father taking me to the local Lexus dealership to check out the LS 400, Lexus’s flagship at that time. When we started the car, it was so smooth and quiet at idle that we couldn’t even tell the engine was running unless we looked at the tachometer. To demonstrate its smoothness to the public, Lexus had a TV commercial with the LS400 balancing champagne glasses on its hood while it was revving. This example of quality, smoothness, along with elegance is in my mind what still defines Lexus today, approximately 25 years later. But Lexus couldn’t stop there. They needed to come out with a car that’s not just smooth and luxurious, but had the ability to tear up the streets and at the track. 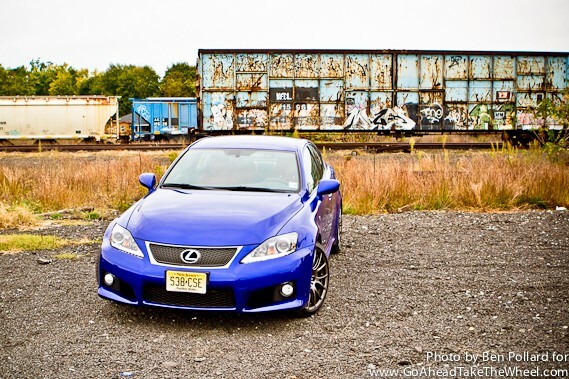 That day was in 2007 when Lexus first introduced the IS-F for the 2008 model year. 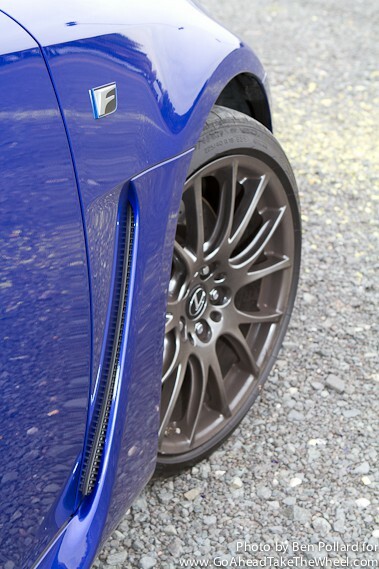 “F” is the marque for Lexus’s performance division (similar to BMW’s “M” badging), and the “F” badge design was inspired by the shape of turn 1 at Fuji Speedway in Japan, as homage to its home racetrack. 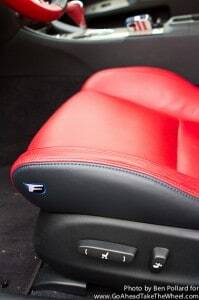 Although the IS (not the IS-F) was redesigned and enters its third generation for the 2014 model year, the 2013 IS-F (our test car) and 2014 IS-F remains on an optimized version of the 2nd generation IS platform. There are no mechanical changes to the 2014 IS-F from 2013. In order to make the most use of the engine’s 416 hp when you want it, the first thing you’ll want to do when you get behind the wheel of the IS-F is to slap the transmission into “M” (Manual) mode so you can control all the shifting with the steering wheel mounted paddle shifters, and press the “Sport” button on the steering wheel. This does several things: it moves shift points to redline (if you were in “D” Drive mode), it firms up the electric power steering, it loosens up the VSC (Vehicle Stability Control) which helps the driver control the car when swerving suddenly or turning on slippery roads, and it loosens up the Traction Control. Once you do this, you have miles and miles of fun while still enjoying the interrior comfort of the IS-F. 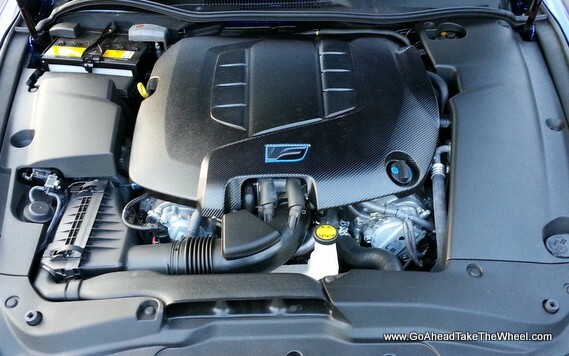 The IS-F will accelerate from 0 – 60 mph in just 4.6 seconds. It feels as fast as the numbers imply too. Acceleration is linear, while building steadily as the rpm’s increase. Once you hit 3,800 rpm on the tachometer, which is front and center on the instrument console, the dual exhaust opens up with a deep and throaty note that’s music to our ears. Below 3,800 rpm, the exhaust note is much more muted and makes for a much more pleasant experience for occupants that don’t want to hear the exhaust “boom” all the time. On the highway, you primarily only hear some tire noise and a minimal amount of wind noise that makes its way into the cabin. The muscular engine is always silky smooth all the way up to redline. Lexus says this high-performance version of their 5.0 Liter V8 engine is engineered to sustain high engine speeds for track driving. Partnering with the powerful and smooth V8 is an 8-Speed Sport Direct-Shift automatic transmission. It’s designed to shift in one-tenth of a second. We had different opinions of it. I found “D” mode only suitable for normal driving, even with the “Sport” button on the steering wheel pressed since it would take its time to downshift and/or only downshift one gear at a time when downshifting at least two gears is necessary to make full use of the 416 hp it has on tap. There were also instances in “M” mode where I felt its shifts were not immediate and took up to a half a second to shift. The shifting was smooth most of the time, but it would occasionally shift more abruptly, especially with a high rpm in first gear and manually shifting to second. I do like how it would automatically “blip” the throttle to match engine rpm when downshifting in “M” mode to help maintain traction and control in curves. Dave Gran (Chief Editor at GoAheadTakeTheWheel), had no issues with the transmission. He felt it worked great in “D” mode, and didn’t experience the delay I experienced in “M” mode. It wasn’t that he didn’t also push the car, but merely differences of opinions. Give it a try for yourself and see what you think. Handling is impressive despite its 3,780 lb. curb weight, and is loads of fun on curvy roads. 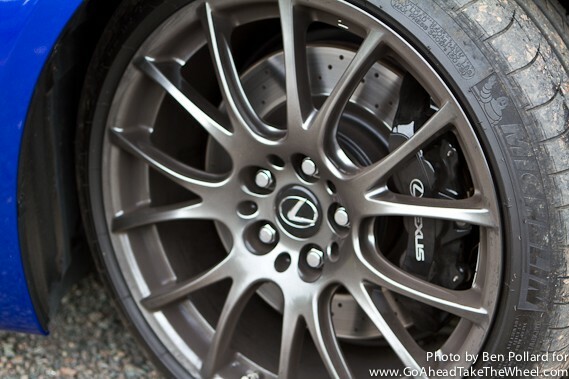 Lexus tuned the double-wishbone front suspension and multi-link rear suspension with special rear control arms, high-rate springs, monotube dampers, and large-diameter stabilizer bars to handle tightly on the track, or through the curves, while maintaining a firm, yet comfortable ride. The car feels solid and planted to the ground too. When slip is detected a Torsen rear differential helps provide additional traction to the rear wheel with greater grip. Weight distribution is 54% front / 46% rear. The IS-F is also very maneuverable in tight spaces. Its turning circle is just 33.5 feet. The 19” BBS forged alloy wheels with Michelin 225/40R19 (front) and 255/35R19 (rear) tires provide plenty of grip, although with 416 hp on tap you can easily let the tail out when accelerating from a stop, or on a curve when you want to have a little fun. Lexus sourced the IS-F’s brakes from Brembo. 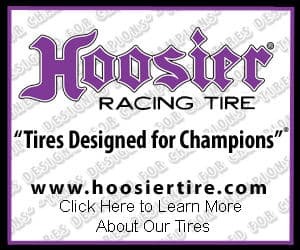 There are six-piston aluminum calipers with 14.2 inch ventilated and drilled rotors up front, and 13.6-inch ventilated drilled rotors with two piston calipers in the rear. The brake pedal is firm, and the brakes feel powerful. 14, the rear spoiler will be made out of carbon fiber. Other notable features, although not new to the IS-F are a raised hood to make room for the big V8, wide fenders for the 19-inch tires, air outlets in the front fenders and IS-F badges. The most notable feature in the rear are the love’em or hate’em dual-polished stainless-steel exhaust diffusers integrated that into the bumper. try system that allow the driver to keep the fob in his or her pocket while unlocking the doors, and while driving. When the car is off, the steering wheel automatically retracts inwards towards the dashboard, aiding in entry/exit, and it returns to its original position when the car is turned on. Once seated, we found the 10-way adjustable leather trimmed “F” Spec sport front seats very supportive and comfortable. The interior has a high quality appearance and is fitted with two-tone leather upholstery, aluminized composite trim, and the “F” logo on the steering wheel, rear center console and all the headrests. The rear seat is compact car tight and only fits two. It’s not designed to squeeze a third person in the middle, as there’s a large driveshaft tunnel on the floor and no middle seat cushion. 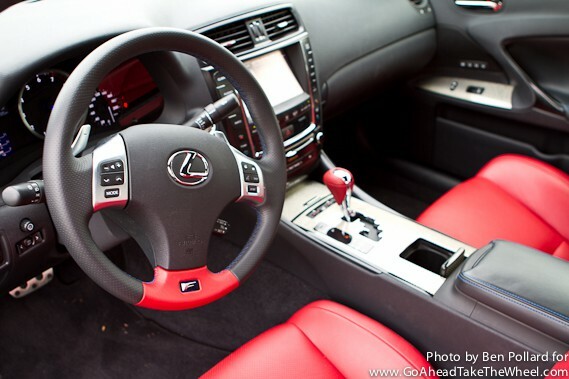 Our IS-F features the Lexus Enform with Navigation multimedia system. It includes premium audio system with 13 speakers, a touch screen, and access to the subscription-free suite of apps that allows you to search the Internet through Bing™, make restaurant reservations through OpenTable®, purchase movie tickets via MovieTickets.com™, listen to Internet radio, through Pandora®, and iHeartRadio™, search business reviews on Yelp®, and check in on Facebook Places™. Subscription based services are also available. Visibility outside the IS-F is okay, but could be better. The rear view mirror was in my line of sight and partially obstructed my view out the windshield, even with the driver’s seats at its lowest setting and the rear view mirror at its highest position. This should be less of an issue for shorter drivers (I’m 6’1”). Visibility isn’t that good while backing up either due to the short rear window. Good thing it has a back-up camera to assist. The C-pillars are on the thicker side reducing visibility while merging in traffic. The IS-F’s side view mirrors automatically tilt down while the vehicle is in reverse to assist in parking. The trunk can be open by either a button on the inside of the driver’s door, or by holding the trunk release button on the key fob. Trunk volume is a class appropriate 13.3 cu. ft. The opening is wide with a low load floor which helps loading and unloading cargo. Trunk hinges are covered so they don’t squash luggage. 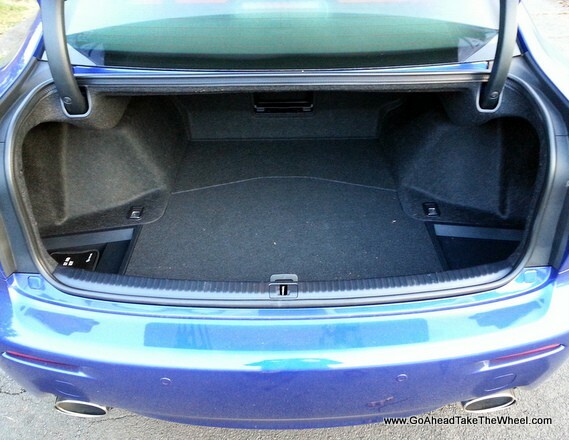 The rear seats do not fold, but there is a small pass-through for things like ski’s, or long pieces of wood. Other storage includes storage compartments in the doors that can tilt out, a center storage console beneath the center armrest, and a glove compartment. There are cup holders located behind the shift lever, and in the center console, and dual cup holders mounted to the console for the rear passengers. Storage pockets are included behind the front seats. Beneath the floor of the trunk is a temporary use spare tire. The IS-F has two distinct personalities. It’s a comfortable and practical daily driver when you want it to be, or a serious driver’s car for the street or on the track when you want to have some fun. 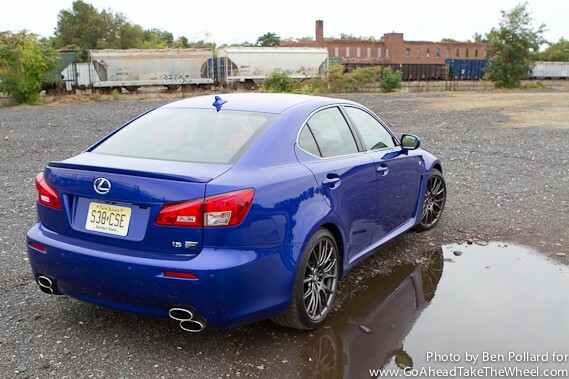 With the help of its “F” performance division, Lexus was able to successfully build on their legacy of quality, smoothness and elegance, and add adjectives like, “Fast”, “Sporty”, and “Fun” to describe their cars as well.